The Pololu Mini Maestro 24 Channel Servo Controller has the power needed to handle advanced applications such as multi- legged robots and advanced animatronic displays. It features extremely high resolution timing for the most accurate servo control. Servo pulse rates can be configured from 1 to 333 Hz with less than 200ns jitter with pulse widths ranging from 64 to 4080us. 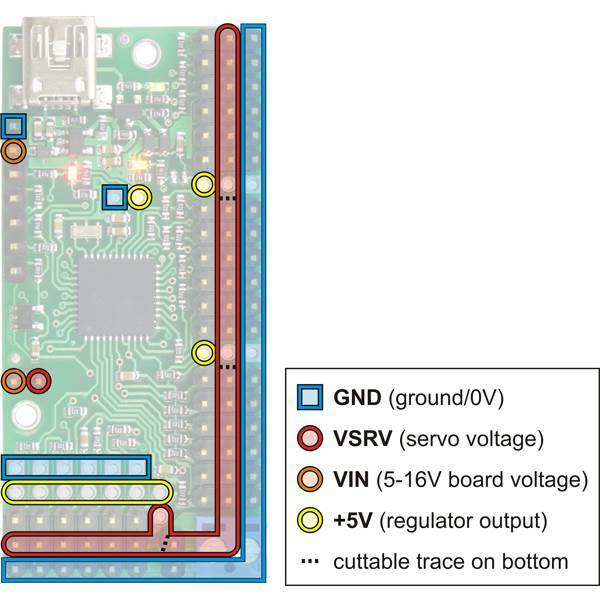 The servo channels can also be used as GPIO general purpose I/O with digital input and output as well as analog input abilities. 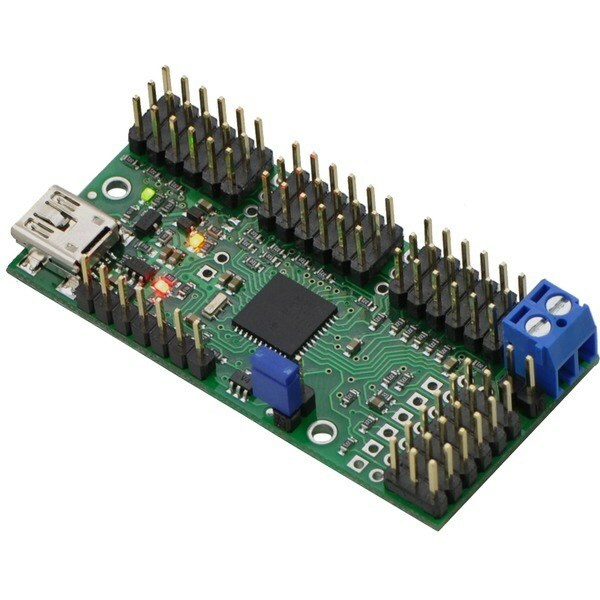 This versatile controller can be commanded by your PC over USB or by your robot's microcontroller brain over serial TTL. It can also run in standalone mode to execute a control script all by itself. There is 8K of scripting space to hold about 3000 servo positions. 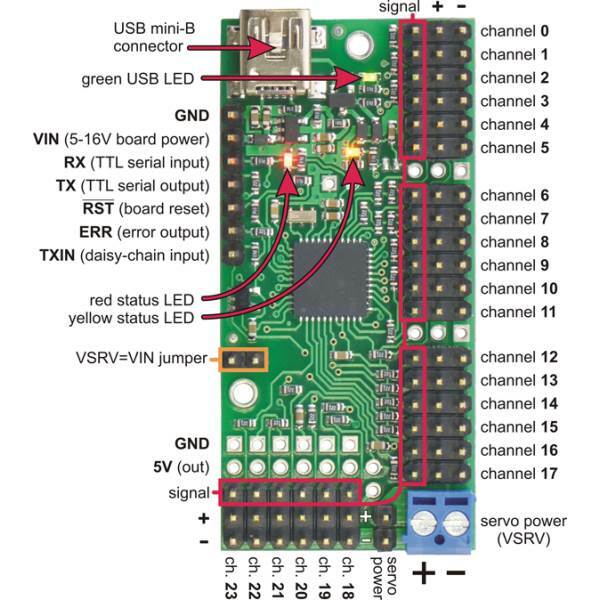 A script can act on GPIO input events to create a fully responsive self-contained control system. For example, the script could be used to build an animatronic display that responds to various stimuli or a walking robot's locomotion engine that can stop itself automatically and alert the central nervous system when it bumps into something. With 24 individually configurable channels, this controller will handle most requirements easily. But, just in case you need more, these controllers can be daisy-chained together. This ZIP archive contains the installation files for the Maestro Control Center, the Maestro command-line utility (UscCmd), and the Maestro drivers for Microsoft Windows.